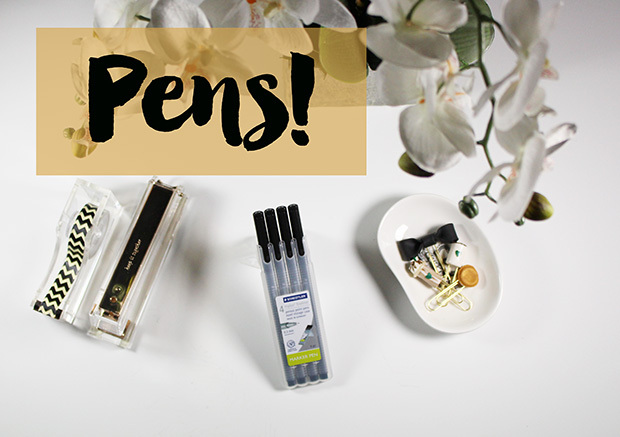 Whether you're a novice planner, or consider yourself a master of the planning universe... you will run into questions about pens. Facebook groups are full of people asking for help with their pen choices. 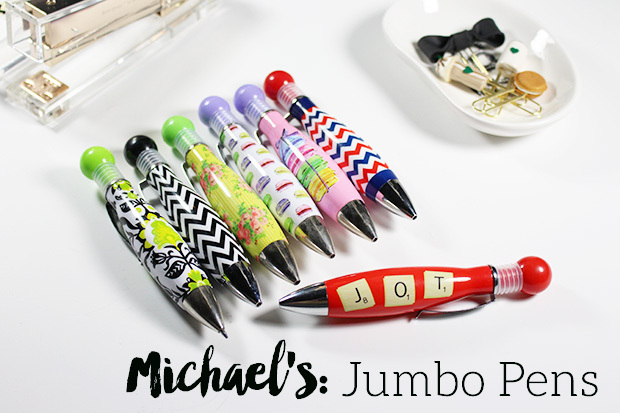 I'm going to break down my hits & misses for you today so you have a reference to planner pens. 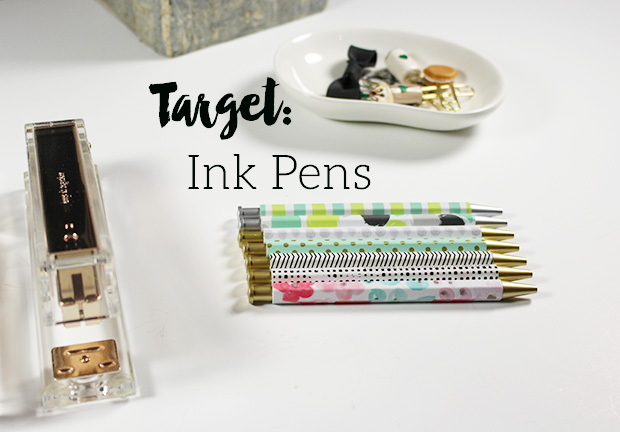 These adorable pens from Target are a planner community favorite. Often coveted as they can be hard to find. The funny thing about that is the pens are crap. They skip and write terribly. Most people [myself included] replace the ink with better ink. So if you're wanting "cute" these are perfect, but if you're wanting quality you'll need to pick something else. Paper Mate Flairs are another pen that was widely popular in the early stages of planner growth. 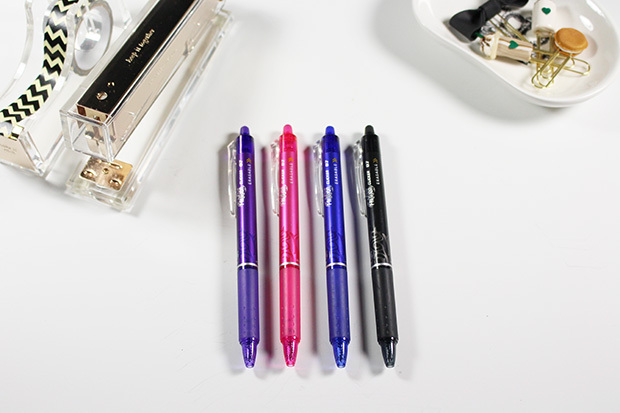 These are felt tip pens that come in a wide variety of colors. They write beautifully but might shadow through your paper depending on your planner's paper quality. I was only "okay" with these. They didn't wow me and I never use them. I purchased these in medium tip which is a little bit for my taste. They also seem to feather a little on certain paper. I also didn't think they were very comfortable in my hand. These pens.... I have a major love affair with these pens. Number 1: they're less than $2. Number 2: they're adorable. Number 3: they're hard to lose! Ahah! Seriously though, these aren't for long writing sessions. These pens are fat, slightly uncomfortable, and your basic ball point ink pen. I LOVE these pens for photo props && list making. I purchase these pens at Michael's craft store in their dollar bin section. There is usually a corresponding note pad of paper with matching designs. I keep a pad with a matching pen in several places in my home. I adore these pens so much, but I honestly don't use them in my planner. Like I said above, I use them in photos because they're pretty && I use them for list making [like grocery lists, etc]. Frixion Ersable pens... Love them. They erase amazingly well and they write perfectly. I love that I never had to worry about mistakes because I can just erase it. I have read the warnings of the ink disappearing on your pages due to heat. That's never happened to me while using them. I also live in a very hot & humid climate in the summer. No issues! I love LOVE these pens! 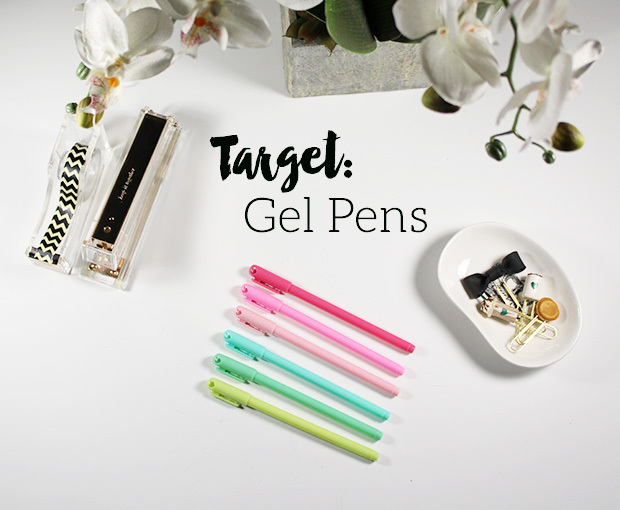 More Target One Spot pens. These write much better than the Target One Spot gel pens I mentioned already. 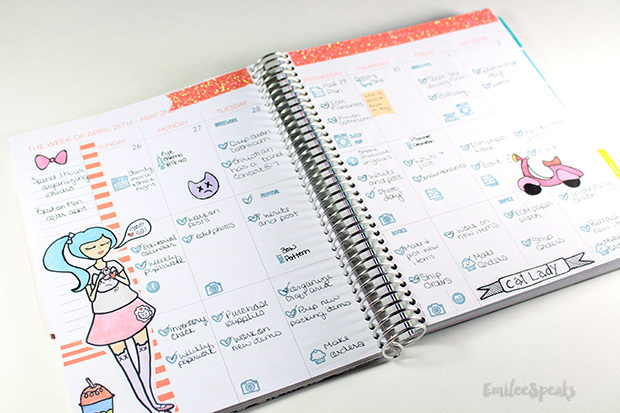 They are super adorable and also sought out by many in the planner community. There's absolutely nothing special about the ink in the pens though. Much like the Michael's Jumbo pens, these are your basic every day ballpoint ink pen. I don't really use these in my planner much either. They're for photos and lists. Ahhh the Sharpie pen. 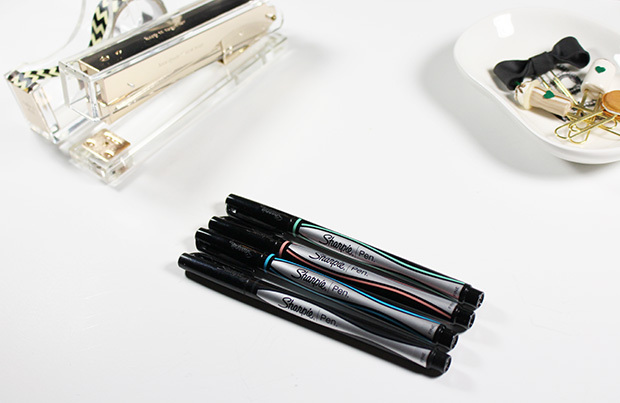 Unlike traditional Sharpies, the pen doesn't bleed through your paper. It's a felt tip beauty with no bleeding or shadowing. This was my holy grail pen for a long time. This pen is perfect in every way. 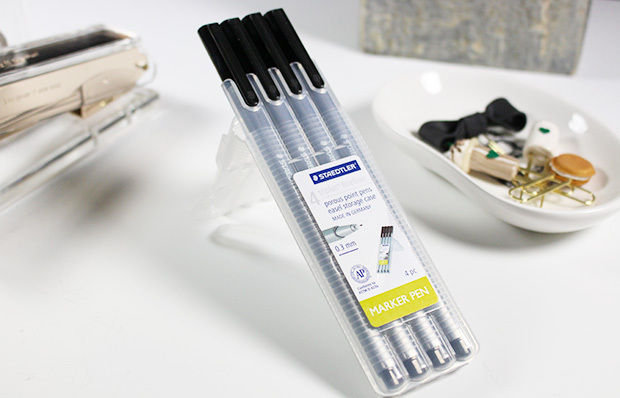 If you haven't experienced this pen, you need to run out and get some now. If you noticed when talking about the Sharpie pens I said it "WAS" my holy grail pen. That's because it's not any more... 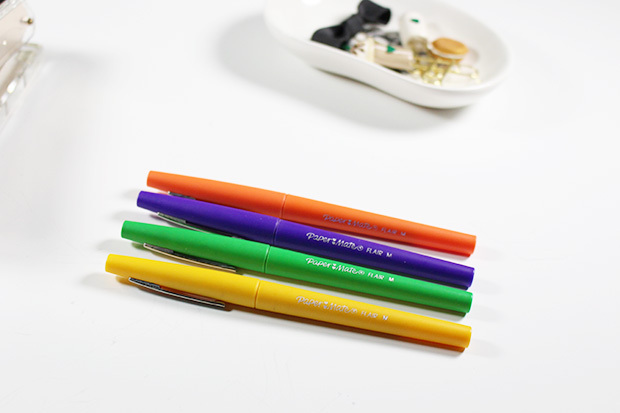 I have heard everyone rave and rave about Staedtler pens before. I just didn't see from the outside what was so special about them. I finally decided to pick up a set of black Staedtler pens since I primarily write in black ink. These pens are everything. EVERYTHING! No bleeding. No shadowing. They write perfectly. They feel amazing in your hand. I think my exact words when trying them for the first time was, "My new pens are luxurious!" That they are. Holy grail pen for sure. 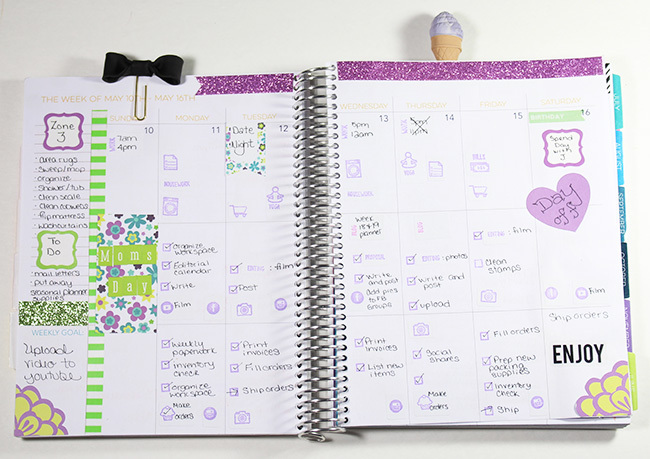 What pens do you use in your planner? 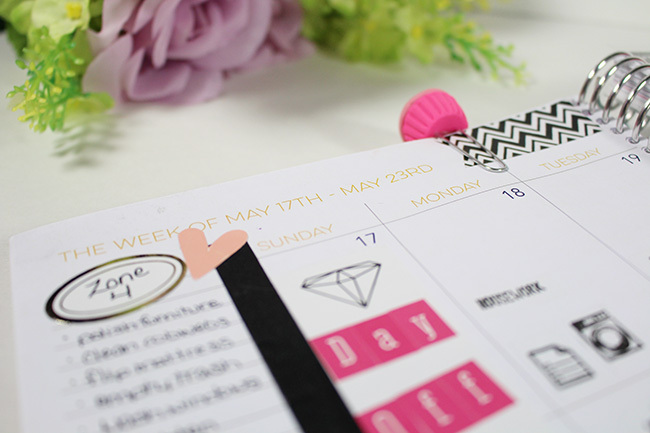 Here's my video of my May month on two pages decoration. I uploaded it last week, but didn't get a blog post up for it. I plan on doing a video WHEN I decorate my pages, then also at the end of the month showing my pages for the month all filled in. We all know how full the pages get! There's a big difference between the start of the week, and the end of the week. I'm so happy you all have been enjoying my videos! It means the world to me! 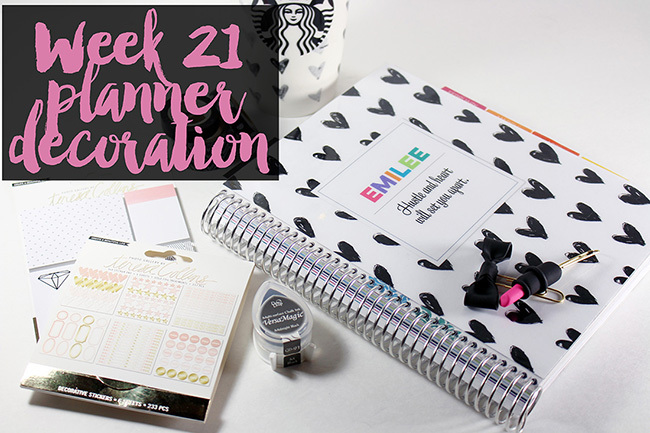 This week I used my new "Mary" cover from Limelife Planners! They're introducing interchangeable covers soon! You won't want to miss that. They have the most amazing covers... I found some super cute embellishments from JoAnn last week that were my inspiration for this layout. I'm a sucker for a good pink && black layout. I think I could honestly use pink & black every single week! I loved this week and how it turned out. Most of the items used this week are from JoAnn. ♥Office Depot Removable Multipurpose Labels 5/8"x7/8"
Hello! Can you believe we're already in the middle of May? Summer is almost here, school's almost out... This year is flying by! 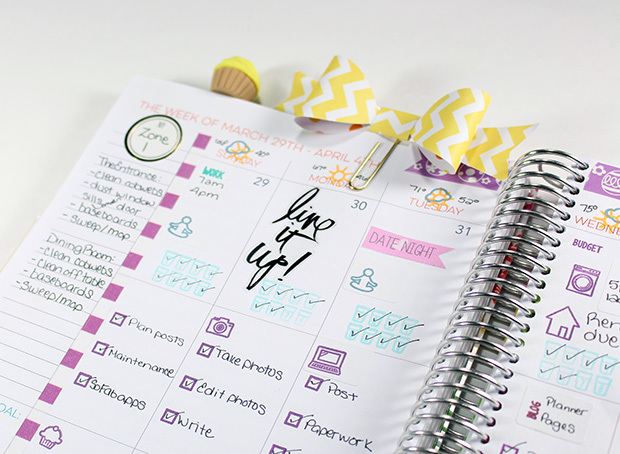 This week I did a bright spring inspired layout for my Limelife Planner pages. The majority of this week's items came from JoAnn's. 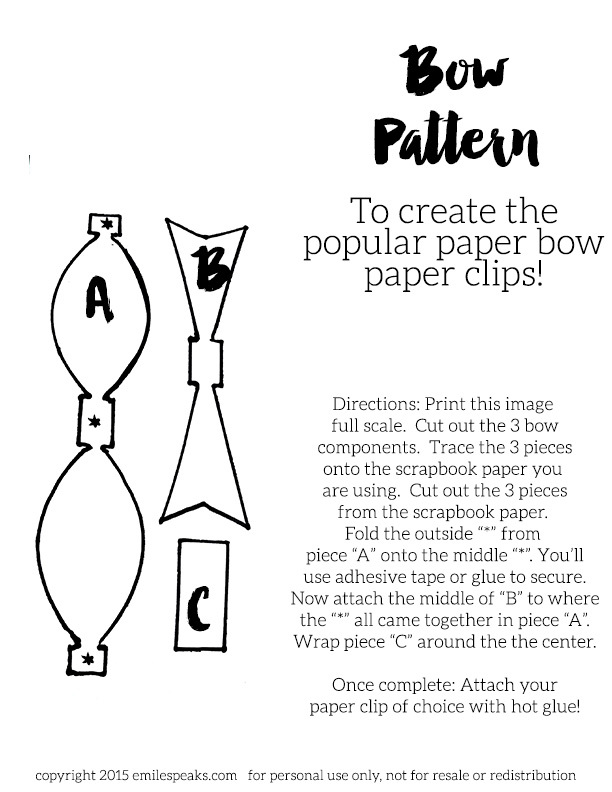 I really love their dollar paper crafting section! I have a large hoard of it, so I'm trying to use up some of my stash. Not Pictured: I stamp onto Removable MultiPurpose Labels from Office Depot. They're 5/8x7/8in. 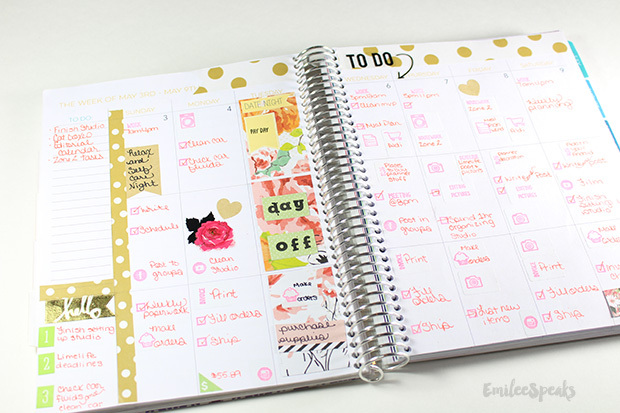 I do this because my schedule can vary and I like to be able to remove things I've stamped down in case I need to switch things up. I loved this week's pages so MUCH! 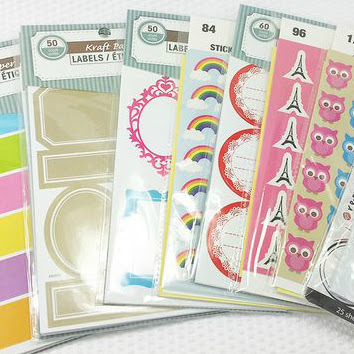 Shawna at Scrawny Girl Shop makes the most adorable stickers ever! I've had this Cat Lady set for months & months. They were just too cute to use... I finally did, and I could look at this spread all day long! Ahah! Seriously, they're just so damn cute. 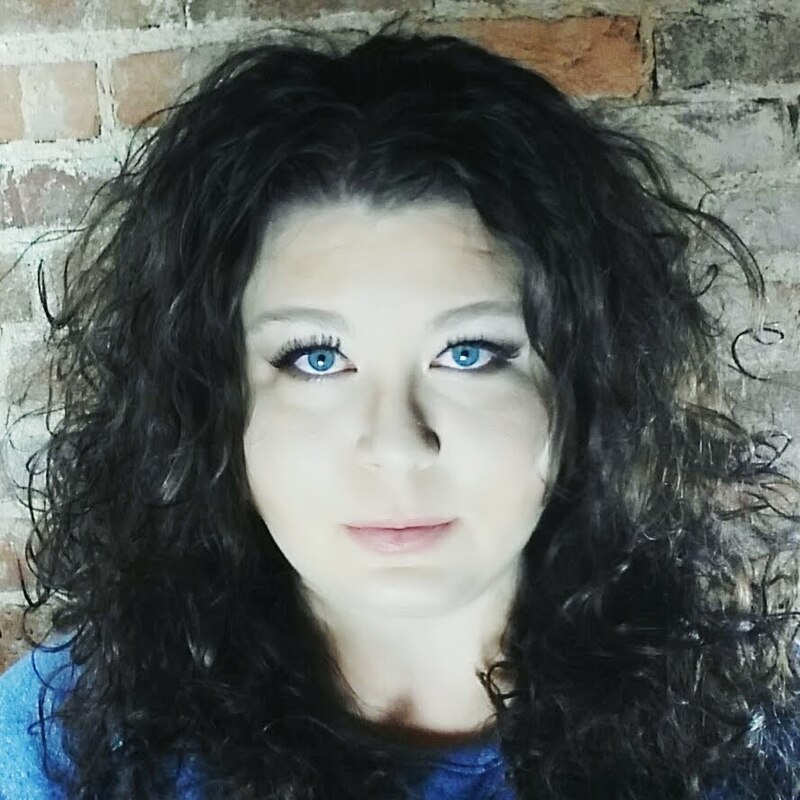 You gotta go check her out! The other embellishments used: Sweet Stamp Shop stamps, Colorbox Paintbox ink, washi from Michael's. Let's talk about Tuesday on this week... I had tickets to go see The Who that night. So I decorated the day all up with stickers I made of The Who & Joan Jett. Well, the concert was postponed... So I had to cover it up. If I didn't cover it up, I'd just experience my disappointment every time I opened my planner. SO that's why the whole day is kinda blocked out & covered. Supplies used: Stickers from Heidi Swapp, scrapbook paper by Heidi Swapp, washi is from Michael's, dollar sign sticker is from Limelife Planners, stamps are from sweet stamp shop, and ink is Colorbox Paintbox. My YouTube channel is now live & active! I have uploaded my first quick video and I'll embed it below! Be sure to subscribe! 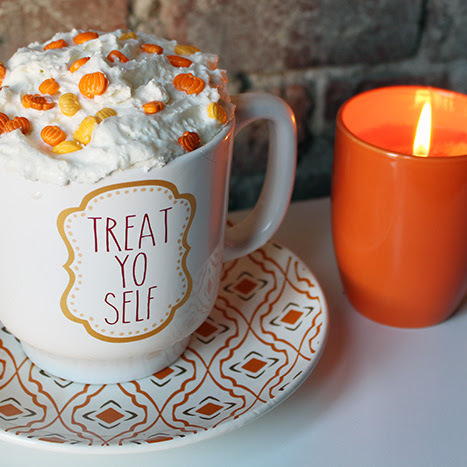 Welcome to this month's "Adorn Your Android"! For May, I felt like a nice soft light pastel theme. How CUTE is the icon I chose for the Etsy app? Macarons because I sell macaron paper clips! Get it?? Ahah! 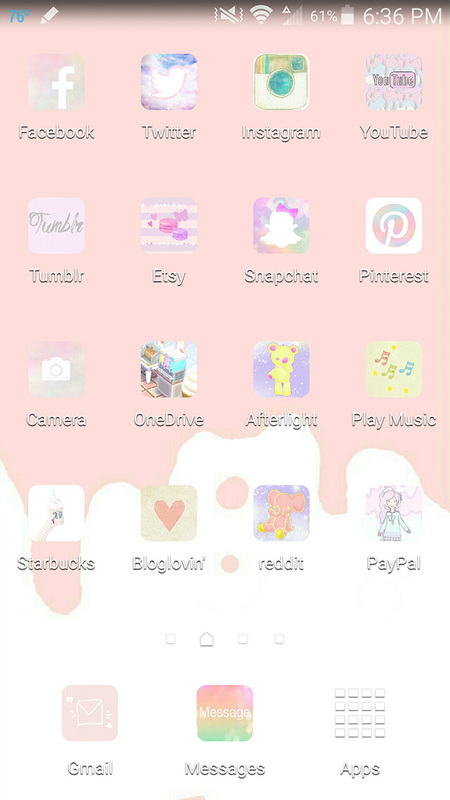 Anyway... the entire theme was compiled with icons from cocoPPa. As you know by now, that's my go to app for changing up my icons. It works so flawlessly for me. Icon placement is the same this month. No folders, just threw my most used apps on my home screen. My plate is FULL and I'm all about quick access to exactly what I need. I'm really loving Afterlight to edit my photos prior to uploading to instagram. It's a great photo editing app. I highly recommend it! ||Sidenote||: I'm still on my Galaxy Note 3 and it recently updated to Android Lollipop and I hate it. My phone does NOT like Lollipop. I'm going to have to get a new phone soon. I can't handle a glitchy phone. This Note 3 has been amazing since release for me, but it really wasn't ready for Lollipop in my opinion. Do you have the Note 3 with Lollipop? Do you have problems? 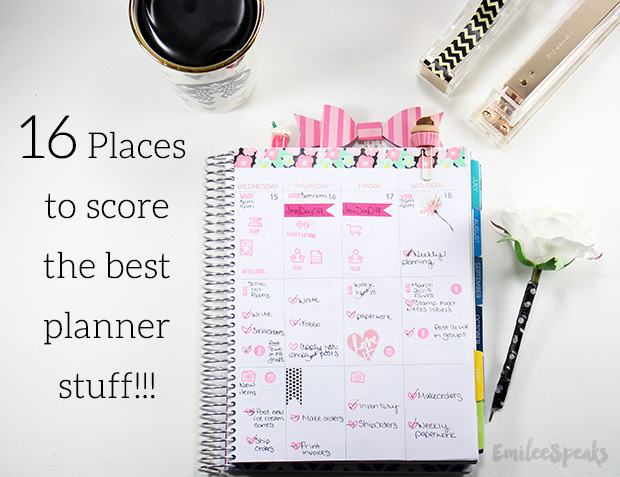 Today I'm sharing with you my favorite places to find planner stuff! 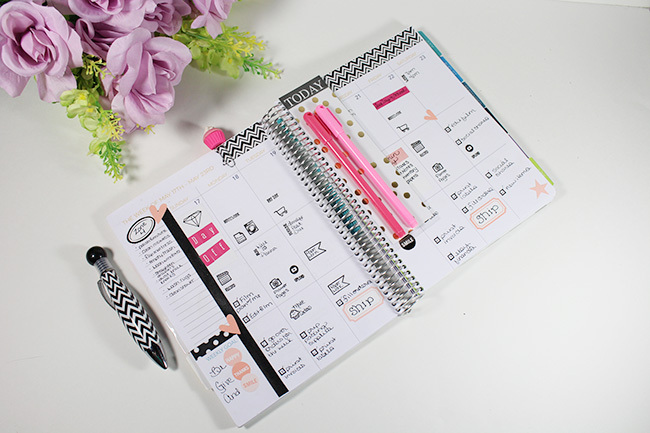 Some times you have to be creative when searching for planner accessories. Some things on this list are obvious, some are not. I bet you'll find at least 1 or 2 places that you didn't think of! 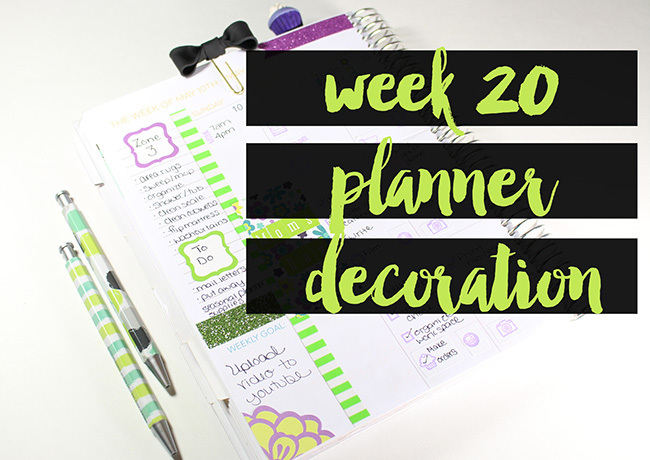 What's your favorite places to shop for Planner Accessories?! Tell me below!